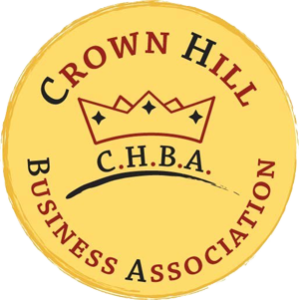 Crown Hill Neighbors and Crown Hill Business Association are joining forces! We are looking for residents and business owners who want to join the board. Our neighborhood is growing and we want to create an organization that connects the residents and businesses of Crown Hill. Both organizations have partnered on projects in the past, and have the same goal to create a vibrant neighborhood. We want to combine efforts to create an organization that supports the entire community. 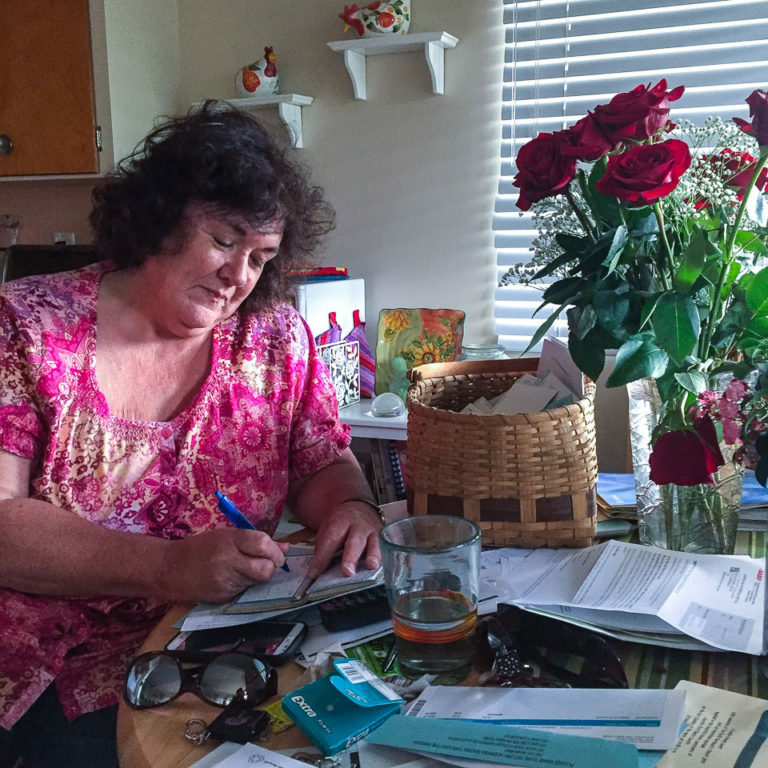 The Neighborhood and Business associations both accomplished so much as separate organizations. From neighborhood clean ups, to the community garage sale, and even the purchase of the Crown Hill Center. The new combined association will kick off with a public art project – details to come. We will also continue to organize the Crown Hill Market, a weekly event that creates a gathering place for neighbors and a showcase for hyper local makers and artisans. The market was a neighbor’s idea that gained momentum and support. What is your big idea for the community? Join the new Crown Hill Association board and be part of our neighborhood’s momentum! 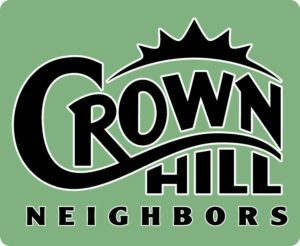 E-mail us at new-board@crownhillneighbors.org if you’re interested in being on the board or you want to contribute in some other way (publicity, website, social media)! The fabulous 10th Annual Crown Hill Garage Sale is on from 9AM-3PM, Saturday, July 23rd this year! You won’t want to miss out on these sales. Lots of excellent merch on the purveyors tables, and plenty of refreshments as well. Printed maps will be available after 9 AM at 9250 14th Ave NW on the brick wall to the left of the building entrance. To see the latest information on the Crown Hill Urban Village Smart Growth Committee, you’ll want to check out their website at crownhillurbanvillage.org. Neighbors like you are participating in public hearings being held by Seattle City Council. They are spreading the word that Crown Hill, Whittier Heights, Loyal Heights, Olympic Manor, North Beach, and Greenwood are keenly interested in how we can shape growth in the Crown Hill Urban Village. Bert Hopkins speaks at minute 2 for about 2 minutes of this Seattle Channel video of a City Council hearing on July 6th. We have the largest potential upzone area in the 2035 comprehensive plan, and the impacts of HALA zoning changes may have even more effects. Yet Crown Hill has no effective neighborhood plan. “So, What is an Urban Village anyway? Find out July 26” — a meet and learn opportunity featuring Geoff Wentlandt from the City to explain some of the terminology. Meeting is at the Greenwood Library on July 26th. 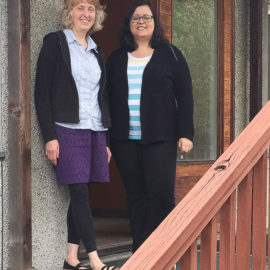 “Mandatory Housing Legislation Vote Scheduled” — call to action to contact your Seattle City Councilmembers to let them know what you think. The committee is working closely with Council Members Mike O’Brien, Rob Johnson, and Lisa Herbold to make sure that neighborhood concerns are heard. The survey mentioned above will be used to frame the discussions and develop a workable plan for our neighborhood and especially the Crown Hill Urban Village. Communicate your thoughts to your city council members. 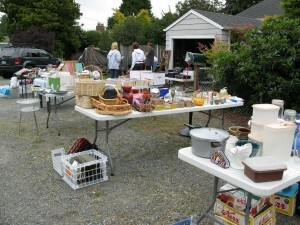 Time to check out what’s in your garage and basement to go out for the 10th Annual Crown Hill Garage Sale! Great chance to simplify and clean out stuff you no longer need in your life! Remember, one person’s junk is another’s treasure! 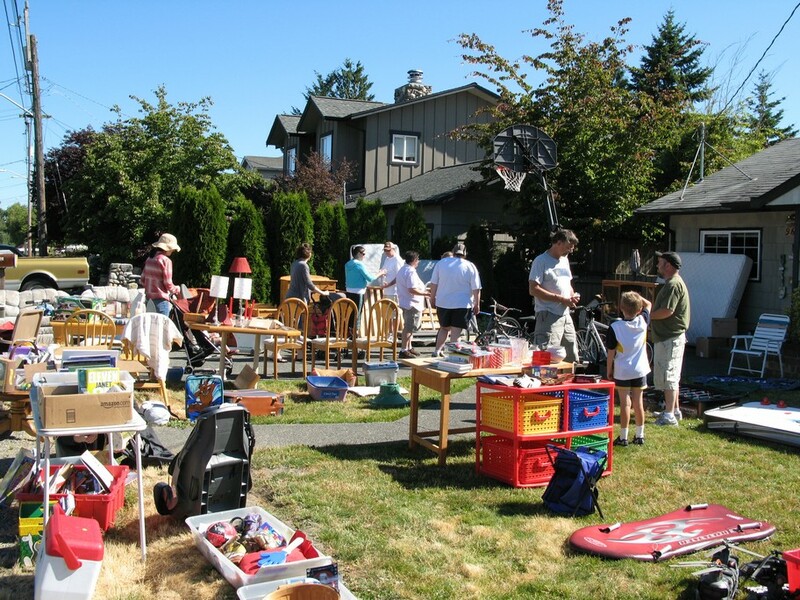 Organize with your neighbors for a multi-family sale or even a block sale! The more, the merrier. As always, young entrepreneurs of all ages are encouraged to sell lemonade, baked goodies to the thirsty and hungry sale cruisers. This year’s sale is Saturday, July 23rd from 9-3. Signups are easy, just put in your information here: crownhillneighbors.org/gsale/gsinput.html. Sellers are encouraged to list individual sales on CraigsList and link to our online sale map as well. The more publicity, the more folks will come. As we get more signups, we’ll populate the map here: crownhillneighbors.org/gsale and there will be printed maps and a mobile device friendly map on the day of sale as well. We’ll publicize the sale on CraigsList, NextDoor and other media. 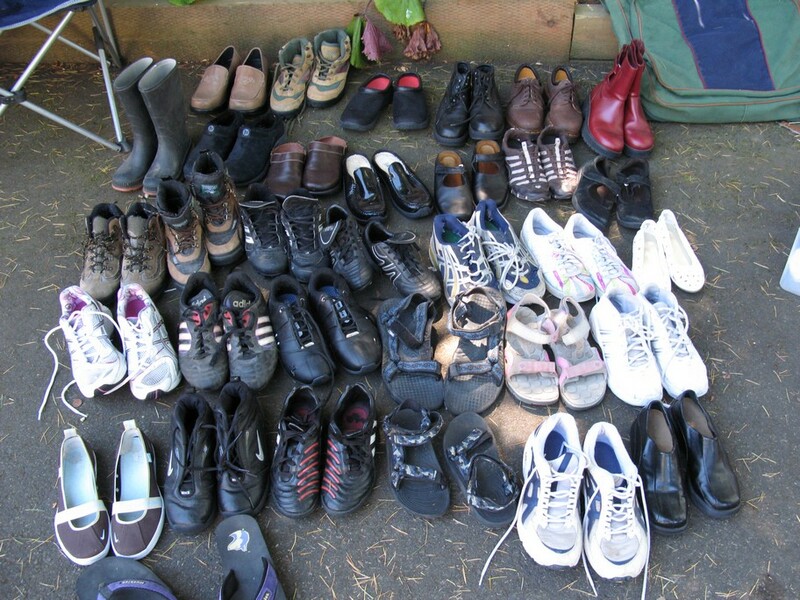 Hey, maybe you’ve got a closet full of shoes? Package theft season is in high gear. What if I told you, “Hey, you’re responsible for making package theft a problem.” – Yeah, you wouldn’t believe me. But you (and that includes me) are contributing. Packages are stolen because they are left in the open on porches by package delivery companies or the packages are left on top of mailboxes. Yes, I am aware it’s against the law to steal. If you don’t want something stolen, don’t leave it unlocked in the open. Blaming the victim isn’t a popular stance to take, but I can take the heat. 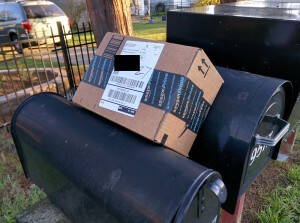 What is the risk of a package thief getting caught? In North Seattle, it’s pretty damn near zero. We beef and moan indignantly on NextDoor.com about the neighborhood going to hell, and this package and that package getting stolen. The overwhelming majority of those reports don’t get made to the police or the post office. Then there is the problem of the Seattle Police Department often won’t dispatch, giving a reason of “no officer available.” Add to that the SPD officer has to witness the package being removed from the porch, and you’re pretty much out of luck reporting the suspicious lady walking down the street weaving from house to house with shopping bags full of Amazon Prime festooned boxes. Even when a nearby jurisdiction North of here is busting druggies with rooms full of new stuff to fence, not a single person complaining about packages stolen from their porches will heed the call on NextDoor.com to come forward and work with the police to ID their stuff. Dang! I guess we really are enabling this behavior on the part of the criminals. Shop Local – those neighborhood businesses that invest in our community, hire our kids and us, are aching for our business. Jeff Bezos’ business will survive, but the local shop may not unless we support them with our dollars. UPS, FedEx and others have the ability to hold packages for pickup. Sometimes there is a charge, sometimes you have to create an account. Ship the packages to a local shipping business like Sip and Ship or The Mailbox Ballard, or …. Again these guys are local businesses investing in our neighborhood …. Have packages shipped to your work instead of your home if that is allowed. Have packages shipped to a neighbor who is home. If you must patronize Jeff Bezos’ business, make use of the package lockers they provide for FREE. Alert your neighbors if you have not heeded any of the earlier suggestions and you must be away from home. Make sure to reward them handsomely with drinks and goodies for their efforts on your behalf. 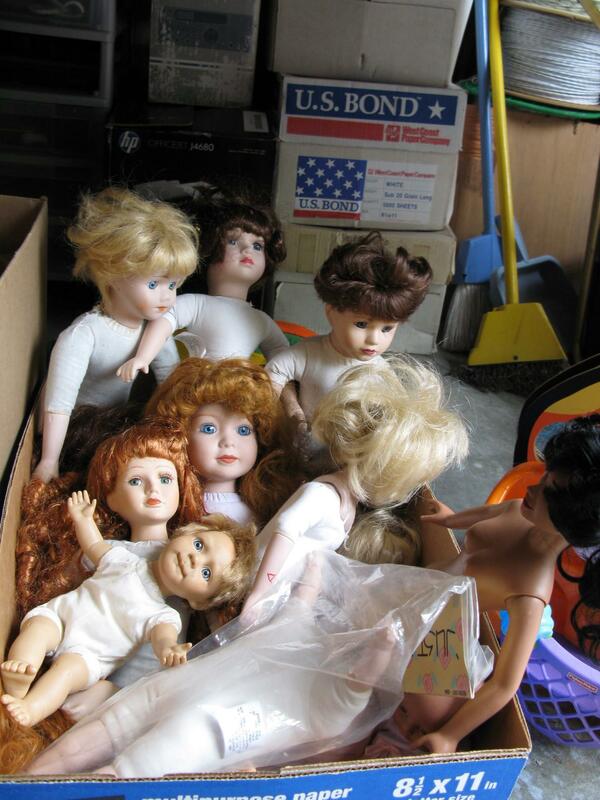 These ideas don’t help with the priceless family heirloom that gets sent unexpectedly from Great Aunt Mergatroid in Beulah ND, but will go a long ways. If there is less valuable stuff unsecured on front porches, the thieves won’t be able to sustain their habits and they’ll go elsewhere. Does it do any good to call the police? You get the most likelihood of a dispatched officer for a crime in progress reported to 911. The dispatcher will decide whether to send an officer or not. Property crimes aren’t that high on the list, so they will not get much attention. Calling 911 is the sure-fire way to get the crime entered into the SPD’s computers. Seeing suspicious activity and calling the non-emergency line has an extremely low likelihood of a response. Posting on NextDoor.com is great, but ONLY after you have made the call to the police – that lets us all know to be observant. If you get the text your package was delivered, and it’s gone by the time you’re home, then file an online police report of the theft. If you have keen observations about the patterns of thefts, maybe call the precinct, and see if you can speak to your community police team officer or a detective. Does it do any good to install a surveillance camera? It might help the police to identify a previously known person. It might help neighbors be on the lookout for an easily identifiable person. I qualified that with “might” because most of the thieves are onto the cameras and are hiding their faces as they approach porches. Finally, a bit of perspective, almost all cyber vendors factor in porch pilferage into the cost of doing business, and happily replace pilfered items. It’s just stuff and in the bigger scale of things, not all that important.